Speed up your work with specialized features and libraries for mechanical design, architecture, 3D mapping, and more, enjoy greater mobility with the web and mobile apps and take advantage of features and performance enhancements. With access to specialized toolsets, subscribers have more intelligent objects, styles, parts, features, and symbols to choose from when drawing. Designers can automate floorplans; quickly draw piping, plant equipment, or electrical panel layouts; incorporate GIS data into the planning process; edit scanned drawings and convert raster images into DWG objects all while working in a familiar AutoCAD interface. 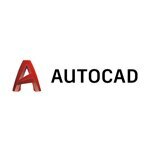 The toolsets now included in AutoCAD offer intelligent features that will help users work faster and be more efficient. For example, by using the Architecture toolset to model a design, you'll save a significant amount of time incorporating real architectural elements such as doors, walls, and windows, instead of starting from lines and circles; creating a wall in AutoCAD requires 5 steps, whereas the same outcome in the Architecture toolset requires only 3 steps.